I still find it a challenge to come up with my own original journal pages, but this is one of my own ideas. 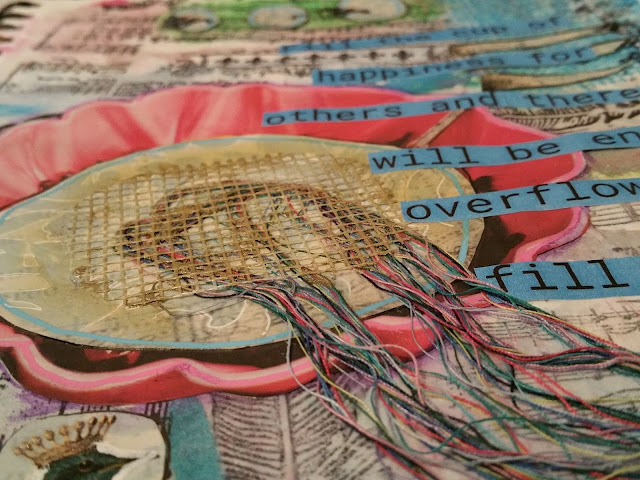 Seemed to be a bit of a mish-mash of techniques and media but loved the bowl overflowing with threads and the inspiring quote I found by Rose Pastor Stokes. This is an entry for the Simon Says Stamps Wednesday Challenge - Anything Goes. 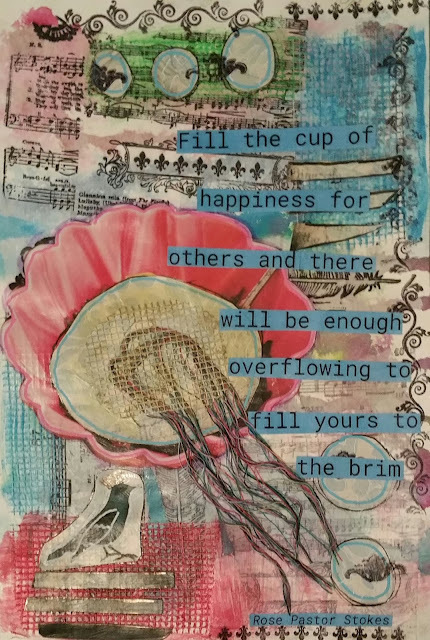 Fabulous journal page! I love all the details and the idea with the thread in the bowl is brilliant.